If you’re uncomfortable with your teeth, you could be holding back who you really are. 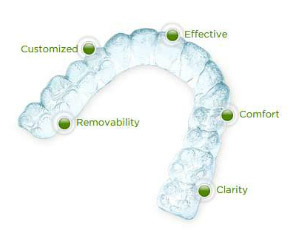 But Invisalign’s clear, custom-designed aligners can be an inconspicuous and removable way to get a beautiful new smile. Many complex cases that once required braces can be treated with Invisalign, often in about a year. So check with an experienced Invisalign provider to see if it’s right for you. And let the real you bloom with a new smile. STRAIGHT TEETH ARE WITHIN REACH. Call today for a free, no-obligation consultation.